Facebook gets it wrong – HubNut – celebrating the average! Facebook IS starting to charge people to promote their own posts. This isn’t one of those hoaxes, my wife is already being asked to pay to promote things she shares, whether it’s items relating to her Blog (for which she earns not a penny) or even just bog standard status updates. Part of a ‘test’ apparently, but surely a sign of things to come. I find this utterly abhorrent. Facebook already makes billions of pounds because people like us use it. Companies will pay good money to advertise to the masses. Why do Facebook think this is not enough? Its corporate greed of the very worst kind. We, the customers of Facebook are actually the asset of Facebook. You’d think they’d treat us a little better. Sadly, they must be using Ebay as a role model. If you become big and powerful and desirable, you can do what you like it seems. I keep making the mistake of going back to Ebay, even though the odds are stacked way against the small seller. An idiot ‘bought’ my Land Rover Discovery and wasted my time and thanks to the way Ebay works, I can’t even leave negative feedback against the non-buying buyer. They don’t care if I get a bit disgruntled. They know that people will keep coming back. They won’t though. If Facebook rolls out charging to promote posts, I will leave, and I hope you will too. There was a world before Facebook, and I don’t recall it being a particularly grim place. Therefore, I’d ask you to bookmark my Blog so you can always be sure of seeing my latest posts. Speaking of which, there are less posts than usual at the moment after the hard drive on my laptop died a death. I’m sorry about this. I’m hoping to have that machine up and running again soon. This desktop is a bit elderly and refuses to read the card in my camera, so things have gone quiet and I’m stuck with only ancient pictures. It won’t last! 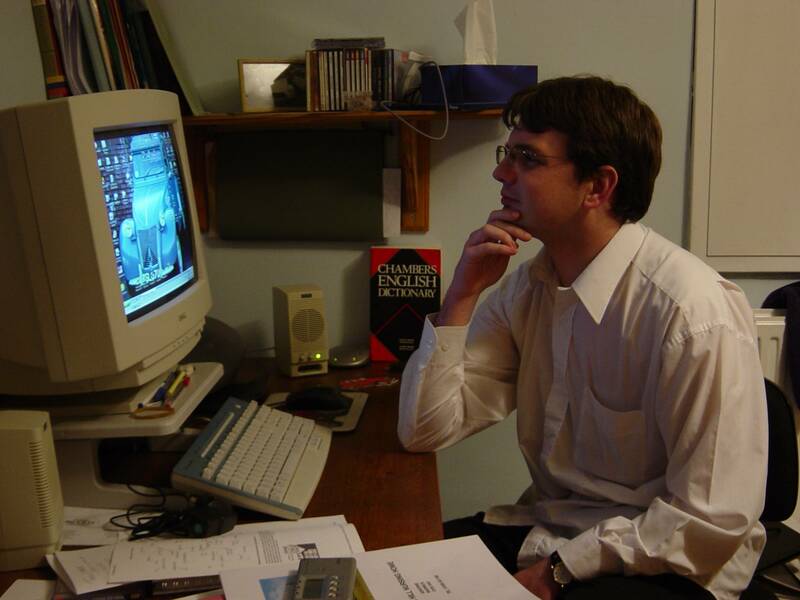 For now though, here’s an elderly shot of me looking thoughtful in the days before Facebook. I’m typing on that very keyboard right now.